Esteem Beauty supports Alopecia Sufferers. The unpredictability of Aopecia, the change to appearance and the impact this can have on self-esteem, affects Alopecia sufferer’s overall quality of life. Esteem Beauty sympathises with distress this condition can bring but recognises the potential benefit that permanent Make-up techniques can provide to help with the apperances associated with the condition. Based on the ‘first-hand’ experiences and advice given by sufferers and in a calm, relaxing environment, eyebrows and eyeliner can be ‘designed’, colours can be chosen and tested to compliment your own unique face shape, skin tone, before the ultimate brow and eyeliner colour are applied, complimenting your look perfectly. This is the art of perfecting, pre-drawing and the pigmentation technique! Our certified Cosmetologist Kasia has established her reputation of providing high-quality consistent Permanent Make up treatments to many satisfied clients who had chosen this treatment to enhance to their appearance. Kasia’s education was fundamentally based in a medical setting, giving her a scientific understanding of the body and mind, but allowing a compassionate approach and she is sympathetic and sensitive to each client’s specific needs. 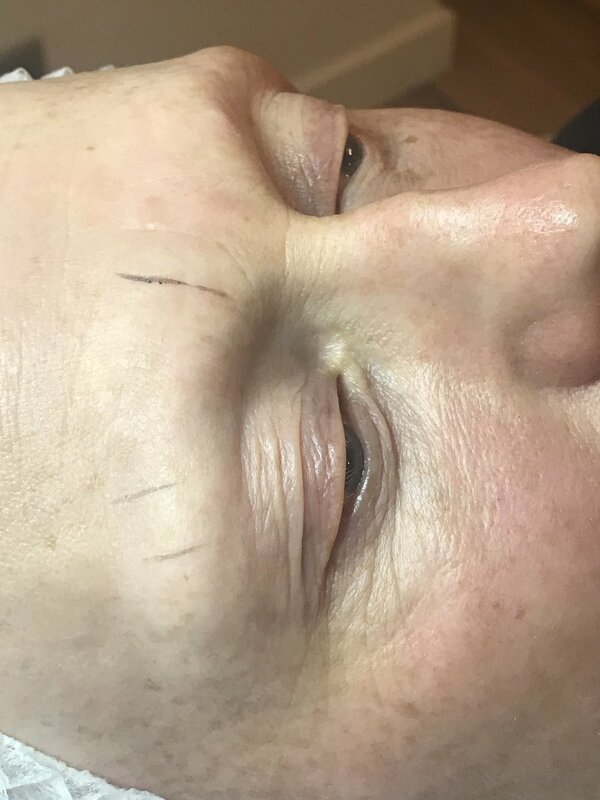 She has frequently created beautiful eyebrows and eyeliner for her clients who have suffered hair-loss and is proud of the positive reaction she sees when sufferer’s new look is revealed. Kasia is also qualified as an Elite specialist in corrective pigmentation where sub-standard permanent make-up has been applied or where limited and poor advice has been given before treatment takes place. Kasia patiently provides and tests softening options, colour corrections and line definitions with her client ensuring happiness with the look before applying the make-up. The consistency and quality of Kasia work is evident in the many examples of her treatments available in her portfolio of ‘before and after’ images showing treatments carried out in the salon, and we will be happy to show you them at your consultation or at any time. Esteem Beauty’s salon is hygienic, only carrying out approved techniques and using approved pigments, the salon is licensed by Glasgow City Council to carry out Permanent Make-up treatments.